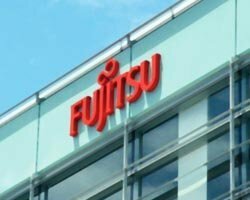 Fujitsu workers have called off their proposed strike over cuts to jobs and pensions after union Unite talked the company into extending the consultation period. More than 720 Unite members at Fujitsu threatened to down tools on 12, 13 and 16 of this month over 1,200 redundancies earmarked for December and the closure of a final salary pension scheme. However Fujitsu told MicroScope it had agreed with Unite to continue the Pensions Forum consultation until at least 31 January and that no individual selected for redundancy will have their contract terminated before that time. "Fujitsu is pleased that the action planned by Unite has now been averted and we hope that our further discussions will resolve the situation," a spokesman said. The dialogue will continue with an aim of agreeing a fix by Christmas. It is unclear which departments or projects would have been impacted by the strike but such action in the current economic climate would have been unwelcome.